Ever since the blockchain industry started sailing on its course nine years ago, many new coins have become available. Bitcoin which still exists as the founding father of all coins has attracted lots of criticism on different issues like its size of scalability, transaction fees, and security issues. But when Bitcoin Cash surfaced in 2017, its major concern was to re-address the flaws of Bitcoin- more specifically its scalability and transaction time. Bitcoin Cash is a peer-to-peer decentralized blockchain platform that was forked from the original Bitcoin by a group of Bitcoin developers. Their interest was centered on increasing the scalability of the original Bitcoin by splitting its blockchain to form Bitcoin Cash, a process known as a hard fork. When BitcoinCash was forked from its original parent blockchain Bitcoin, its block size was increased by a factor 8 as compared to the 1MB of Bitcoin. This new blockchain called Bitcoin Cash is meant to have a leading advantage in the area of scalability in order to handle a large volume of transactions within the shortest time. 2018 has been marked a terrible year for the whole blockchain community as compared to 2017 when crypto coins recorded the highest profit margin across the different market. Specifically on Dec 16 2018, Bitcoin Cash fell in price to as low as $81. With this fall, this has placed Bitcoin Cash below expectation as compared to other coins like ethereum and stellar. Factors like a high level of competition, different regulations, and lots of other factors have caused its volatility and fall in price below what is expected. Its performance in 2019 has indicated that Bitcoin Cash has been going strong across the market. Taking analysis from its growth in the current market, we are going to compare its performance in January, February, March and the prediction for the rest of 2019. 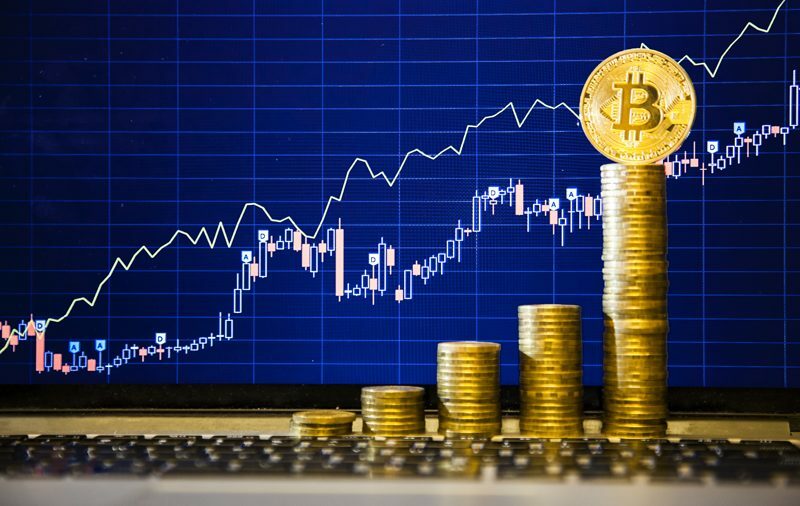 January Analysis – Bitcoin Cash started gaining more strength from 31st December 2018 when it experienced a growth of 100% from $81 to set its price at $160.14 with a trading volume of over 230 million USD. But in the comparative analysis for January, Bitcoin Cash has witnessed a high trading volume of more than 276 million USD setting its price at $119.47 in 31st of January 2019. February Analysis – On the 24th of February 2019, Bitcoin Cash witnessed the highest trading volume for that month to over $428 million USD. This pushed its price to $155.15 on that same day. Bitcoin Cash ended the month of February with a positive mark at a price of $133.13 as compared to its price in January. March Analysis – Bitcoin Cash has shown more strength in March. It has gained over $15 on an average from the 1st March to 21st March 2019. As at when this article was published, the price of Bitcoin Cash is $160.16 with a market cap of over 2.8 billion USD. Prediction for the rest of the year – 2019 has been termed the year when Bitcoin Cash can boom back from its crash since 2017 and through the entire 2018. It is evident from the analysis that through the early year of 2019, Bitcoin Cash has been regaining its lost value in the coin market. At an interview with the team leader of Bitcoin Cash, Roger Ver addressed the possibility of Bitcoin Cash to increase in value in the year. He went on to speak on the possibility of Bitcoin Cash to closely rival Bitcoin in terms of value. If you are already using Bitcoin for transactions, you will understand the importance of having a highly scalable network system. Roger Ver and his team developed Bitcoin Cash as a network system that is capable of handling the growing amount of transactions within the network. Bitcoin Cash was created to have an increase block size of 8MB as compared to that of Bitcoin in other to settle the scalability problem faced by Bitcoin platform and other cryptocurrencies. They also look further in the nearest future to increase the output of blockchain technology by increasing its block size to further 32 MB to tackle the problem of scalability as the network grows. With this, miners and investors can be guaranteed to perform larger amounts of transactions within a very short time using Bitcoin Cash. Why race to other cryptocurrencies when you can enjoy a reasonable lower fee using Bitcoin Cash. Throughout 2017 and 2018 when Bitcoin Cash suffered it’s plunge in price, miners were guaranteed of lower transaction fees during mining activities. Miners can enjoy trading fees for as low as $0.001 on its network. Even as its network continually grows, its fees remain one of the cheapest to handle bulk transactions as compared to Bitcoin or any other cryptocurrencies. It was witnessed in Bitcoin that miners pay as high as $20 during times when transactions are high in traffic in Bitcoin network. This makes Bitcoin Cash more preferable to handle the bulk transactions in order to enjoy lower fees. Owing to the growth of Bitcoin Cash (when it hit over 4,000 USD in price on 20th December 2017), it’s safe to say that the future can only bring more growth. Its trending fall in price might be a shocker to many but from the analysis discussed above, Bitcoin Cash is on its way up. Although Bitcoin Cash is not a get-rich-quick scheme because of its volatility in the coin market, it is still the best option for investors who wish to invest in it for the long-term.